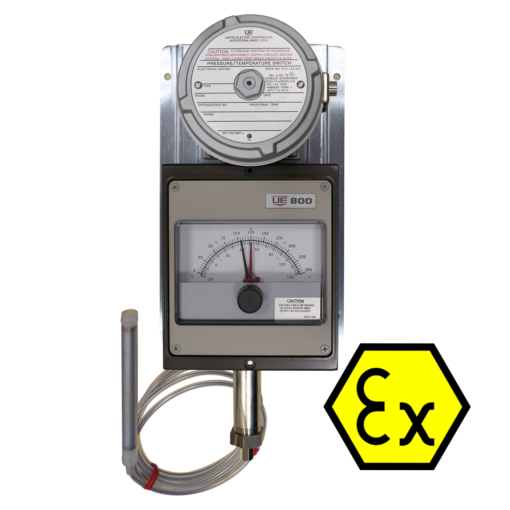 For applications that require a visual display of process temperature and set point, the 800 Series offers a highly readable four inch setting / indication scale. It is available in two versions: a Lexan® enclosure for enclosure type 1 or 4 applications (with option M300), and with Lexan® window and epoxy-coated aluminum enclosure for Div. 1 explosion proof applications. For temperature indication only, the T800 thermometer incorporates the same performance and construction features of the 800 Series. 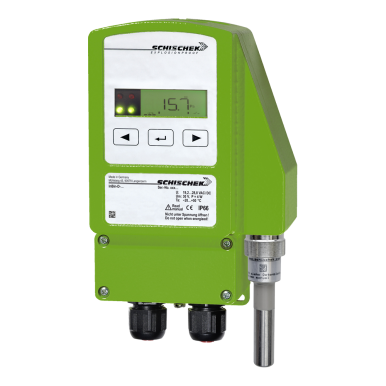 800 Series models control and indicate the temperature of food service appliances, ovens, packaging machines, HVAC equipment, and various temperature applications within process plants.